Dutch explorer Abel Tasman in the year 1642 discovers Van Diemen’s Land (Tasmania). In the year 1859, English naturalist Charles Darwin publishes “On the Origin of Species”. France sends 20,000 soldiers to Algeria in the year 1954. India may lead Commonwealth meeting in April. Sushma Swaraj to attend SCO summit in Russia. PM Modi launches UMANG app. Modi and Sri Lankan PM hold talks to strengthen ties. French president Emmanuel Macron to visit India early next year. Myanmar and Bangladesh ink deal on the return of refugees. Sudan’s president Omar al-Bashir visits Russia. Saudi Arabia agrees to buy $7 billion in precision munitions from U.S. firms. China and Djibouti agree to establish a strategic partnership. Havmor to sell ice cream business to Lotte for Rs 1,020 crores. Tesla builds the world’s largest lithium-ion battery in just 100 days. German camera maker Leica enters Indian market. India static at 105th in FIFA rankings. Spain climbs two places in latest FIFA rankings. Fernando Alonso launches his own eSport team. The UK has formally asked India whether it would like to take a lead role in the 52-nation Commonwealth grouping. The proposal comes ahead of next April’s Commonwealth Heads of Government Meeting (CHOGM) in London. An Indian official said the country saw the proposal as an acknowledgement of its importance in terms of size, economic relevance, and population. External affairs minister Sushma Swaraj will be representing India in the Shanghai Cooperation Organization (SCO) summit in Russia’s Sochi on November 30 and December 1. MEA spokesperson Raveesh Kumar said she will also attend the reception hosted by Russian Prime Minister Dmitry Medvedev. India joined as the full-fledged member of the SCO in June this year. Earlier in June, Prime Minister Narendra Modi addressed the 17th Shanghai Cooperation Organization (SCO) Summit held in Kazakhstan capital Astana. 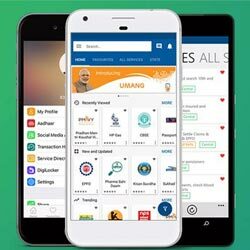 Prime Minister Narendra Modi launched a mobile application called UMANG that will enable people to access more than 150 central and state services. The app was unveiled before Modi inaugurated the fifth edition of a global conference on cyberspace in the national capital. The app has been developed by the ministry of electronics and information technology and the National e-Governance Division. Services like the location of exam centres and results of CBSE, class-wise and subject-wise content of NCERT among others will be available to users of UMANG app. Prime Minister Narendra Modi and the visiting Sri Lankan Prime Minister Ranil Wickremesinghe held talks covering the entire gamut of the bilateral relationship. Ministry of External Affairs official spokesperson Raveesh Kumar said all important bilateral issues, including India’s development projects in the island nation. The issue of India’s interest to invest in the Mattala Airport in Hambantota district is also understood to have been discussed. The country’s envoy Alexandre Ziengler said French President Emmanuel Macron, who was scheduled to visit India next month, will now be coming early next year. Macron was scheduled to visit India next month to attend the International Solar Alliance (ISA) summit, but that has been now deferred. The French ambassador was speaking on the sidelines of a digital exhibition showcasing various facets of the Indo-French relations. Myanmar and Bangladesh signed an agreement over terms for the return of hundreds of thousands of Rohingya Muslims who have fled to Bangladesh. The signing took place after a meeting between Myanmar’s civilian leader Aung San Suu Kyi and Bangladesh foreign minister Abul Hassan Mahmood Ali in Naypyitaw. Myint Kyaing said the memorandum of understanding was based on the 1992-1993 repatriation agreement between the two countries. 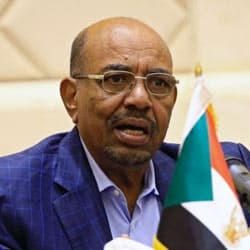 Sudanese President Omar al-Bashir said on a visit to Russia that his country needs protection from the US and could serve as a gateway to Africa for Moscow. The Darfur region has been the site of violent conflict since 2003 when rebels took up arms against the government in the capital. Saudi Arabia has agreed to buy about $7 billion worth of precision-guided munitions from U.S. defence contractors, sources familiar with the matter said. Raytheon Co and Boeing Co are the companies selected in a deal that was part of a $110 billion weapons agreement. Both companies declined to comment on the weapons sale. Djibouti, where China has opened its first overseas military base agreed to establish a strategic partnership to strengthen all-round cooperation with Beijing. The announcement came as Chinese President Xi Jinping held talks with Djibouti President Ismail Omar Guelleh at the Great Hall of the People in downtown Beijing. Guelleh is the first head of state of an African country to visit the country since the ruling Communist Party of China’s (CPC’s) Congress in October won a second five-year term for President Xi. Havmor Ice Cream Ltd (HIL) said it will sell the business to South Korea’s Lotte Confectionery for Rs 1,020 crore. Ahmedabad-based Havmor has a significant parlour network across 14 states in India. It makes 150 kinds of products from two plants and sells via 30,000 dealers. The USD 80 billion Lotte Confectionery entered India in 2004 and has established choco-pie factories in Chennai and Delhi. Tesla has completed construction of the world’s largest lithium-ion battery in Australia. The Elon Musk-led company completed the task within the 100-day deadline. Tesla won a bid in July to build the 129-megawatt-hour battery for South Australia, the country’s most wind power-dependent state. Tesla founder Elon Musk had said the company would finish the construction in 100 days or give it to the state for free. 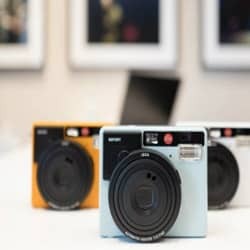 Germany-based camera maker Leica on Thursday announced its entry into the Indian market. The company will initially focus on metro cities as a part of its objective to open destination centres with its range of cameras. Having its Headquarters in Wetzlar, Germany, the company is a premium segment manufacturer of cameras and also has a production site in Portugal. The Indian football team remained static at 105th in the latest FIFA rankings on Thursday. Among the Asian Football Confederation countries, the Indian team occupies 15th, ahead of the likes of Jordan, North Korea and Bahrain. Iran led the Asian rankings while world champions Germany are on top of world rankings. Spain climbed two places to sixth and Switzerland was up three spots to eighth in the latest FIFA world rankings. The top five remained unchanged with world champions Germany leading the way from Brazil, Portugal, Argentina and Belgium. Double world champion Fernando Alonso has become the first Formula, One driver, to launch his own eSport virtual racing team. The 36-year-old, who drives for McLaren, presented the FA Racing G2 Logitech G team at the season-ending Abu Dhabi Grand Prix. Alonso’s team has already signed up one of those finalists, Turkish gamer Cem Bolukbasi.